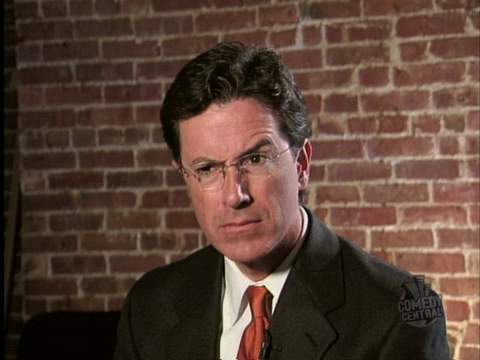 In “I Know What You Did Last Summer of the Shark”, then Daily Show correspondent Stephen Colbert states that falling coconuts kill 150 people each year. You might assume that “death by coconut” was a purely random occurrence, but that might just be what the coconuts want you to believe. What's are the chances that the coconuts are out to get you? According to Wikipedia, 54 million tonnes of coconuts were produced in 2009. From this, we know that if each coconut weighs 10 lbs, then roughly 1.0×1010 coconuts were produced. Now, we could quibble about the actual number. Some grow in the wild which might make the actual number larger. Some coconuts are picked instead of falling, so that might make the actual number smaller. You can argue either way, so let’s stick with this figure just to keep the problem relatively simple. From this, we suspect that each year roughly 6 out of every one million people get bonked by a coconut. (6×10-6 hits per person) × (6.7×109 people) = 40,000 fatal hits. If hits are only fatal 1% of the time, then 400 people will die from coconuts falling. However, this 1% statistic may be off substantially—possibly much more than an order of magnitude—so our estimate is very rough. It’s difficult to tell how many coconut-induced fatalities will occur, but our estimate of “40,000 coconut hits” suggests that the number of deaths could be substantially higher than 150. If this were the case, then coconuts are certainly not out to get you since they kill fewer people than they would by chance. · Coconuts are 10 lbs on average. · The mass of all the falling coconuts in the world each year is equivalent to the mass of coconuts produced each year. · The probability of a falling coconut hitting a person is equal to the fraction of land area taken up by people. · Only 1% of coconut hits are fatal. These assumptions seem reasonable, but that does not mean they are necessarily correct. Coconuts are certainly between 1 and 100 lbs, so the first assumption seems decent. It’s possible the number of falling coconuts each year is off for the reasons stated above. Likewise, the percentage of fatalities could be off by several orders of magnitude. Equating the probability of a falling coconut hitting a person to the fraction of land area taken up by people is a reasonable first guess, but there are factors that might throw this assumption off. For example, perhaps more people live near coconut trees because people like to live in tropical climates. While our estimate doesn’t have enough precision to answer this question conclusively, this example does illustrate an important point. As Weinstein and Adams describe in their book Guesstimation, estimates generally break up into three “Goldilocks” catagories: too big, too small, and just right. In this case, being “just right” means your estimated result is too close to call. When this happens, you need to put more effort into refining your estimate if you want to draw any conclusions. Refining the coconuts estimate to high precision is beyond the scope of what I can do in a silly blog post, but there is still a valuable lesson to be learned: In estimation as in life, there are times when even the best answer leaves a wide degree of uncertainty and it’s important to acknowledge when we don’t have enough information to draw a conclusion. That said, there are many examples where a test produces results that are so unlikely we can conclude they are not due to random chance. Word cannot explain how happy Dr. Tim's comment makes me. Coconuts are an intrinsic Darwinian way of selecting brainy people against the dozy sort. If you have tried to catch a coconut on its way down from a palm, having been intentionally dislodged, you'll appreciate JUST how hard and heavy they are, AND how fast the come down. You would NOT want your bonce in the path of the falling nut, the resulting headache would kill you - even if your splattered brains had been collected up and put together by a well-meaning paramedic. SMART people know this - and NEVER rest for shade under a coconut palm laden with ripe-looking fruit. DUMB people do. Trust me, if you are in the tropics, choose a Sea-Grape or Sea-Almond tree for shade - for a start, their foliage is way denser, so you get any more shade. And if you DO see a coconut palm all laden up, buy a shot of rum from the nearest shack, and give a local a few cents to bring you a green coconut from the tree. Chop open with a machete, pour in the rum, and enjoy Nature's best cocktail - to celebrate the fact you might have saved someone's life!